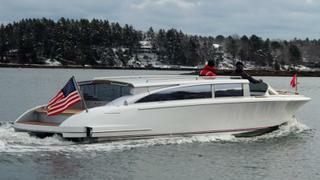 The superyacht tender division of American yard Hodgdon Yachts has announced the launch of two tenders. 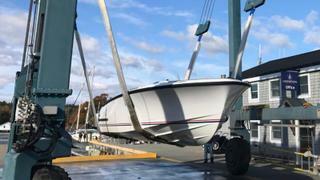 The 9.5 metre Venetian limousine tender and 8 metre Venetian centre console tender are set to be delivered early next year to a shipyard in Germany. They were both designed by Florida based design house Michael Peters Yacht Design. Key features of the Limousine include electronically controlled mirrored windows, an extendable power roof and starboard hull side doors that open for aft side boarding access. The cabin meanwhile allows space enough for 12 guests and is equipped with both air conditioning and heating. The Centre Console tender has been specifically designed for guest beach and water sports use. It comes after the yard launched a 10.5 metre limousine tender in “striking sea foam green” in May 2016.